1. Material: aluminum, magnesium, zinc, copper, brass. 2. 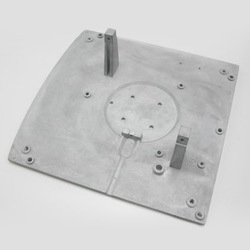 Surface finish: chrome plating, sandblasting, painting, anodizing, powder coating, electrophoresis. 1. Follow customers' sample or drawing to proceed mass production. 2. Excellent quality and competitive pricing. 3. Accept small quantity and multiple types of product order. 4. Help customers to design and develop new products.